As promised, here is a follow up to our participation in the Bishops United Against Gun Violence Conference in Chicago, last week. (April 20-22). I have asked for the two diocesan members who accompanied me, Ms. Shayna Watson of St. James’, Lancaster, and The Rev. Rebecca Myers of Nativity, Newport and St. Stephen’s, Thompsontown, to offer their reflections on the conference as guest-bloggers. 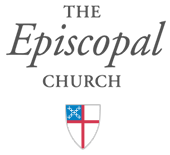 At the end, please find a link to the Episcopal News Service article regarding the event. Thanks to both Shayna and Rebecca for their companionship on the trip; their witness and work on the issues of gun violence, racism and poverty; and their willingness to contribute to this blog. Back to our usual format next week! I am tired of talking about racism. I am tired. I am tired of being reminded of blackness through derogatory means. I am tired. I am tired of white fragility and making people feel ok about their complacency and participation in systemic racism. I am tired. I am tired of hearing about gun violence and war. I am tired. I am tired of seeing people without homes and families struggling as a result of socioeconomic poverty. I am tired. I believe that we are all tired, exhausted from vicarious trauma of what we watch on the news, read in the newspaper, and experience directly. Though wary we grow, this work is critical and necessary to the life of the Church and its people. Racism. Poverty. Gun Violence. Each are topics in and of themselves to be discussed and processed. Each topic holds their own challenges in how they manifest in psychologically, physically, socially, and of course spiritually. How does the community of faith recognize the intersectionality the three, of the Unholy Trinity? 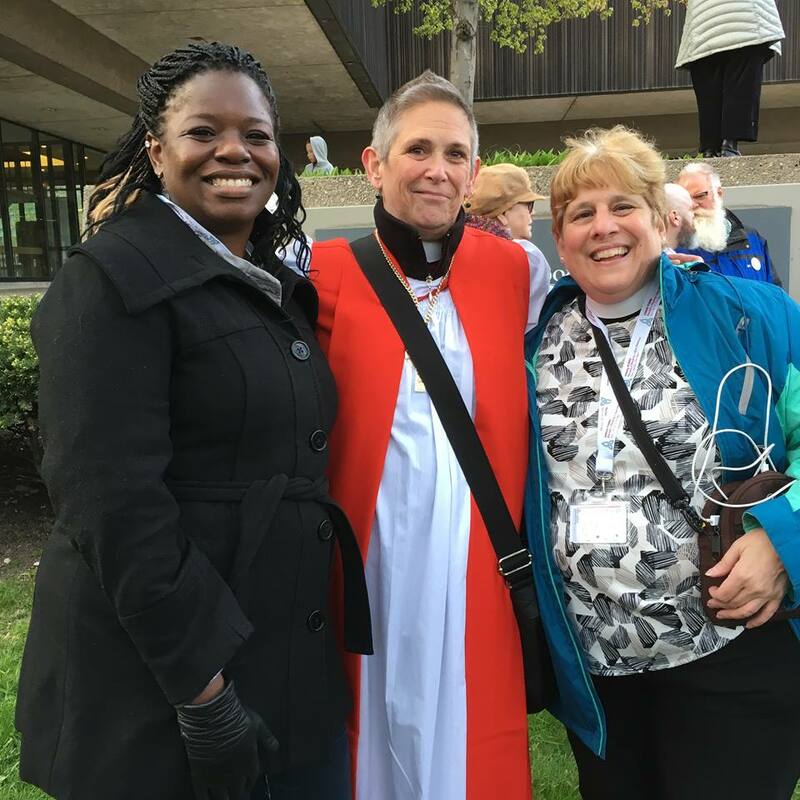 The Unholy Trinity Conference offered space, tools and inspiration for communities of faith to take the lead on and responsibility of the soul of our communities. Together, we explored the intersectionality of the Unholy Trinity and how we each have played a part, perpetuated, and or suffered at the hands of the toxicity that the unholy trinity renders. In order to understand how the three are connected, we have to investigate the history of our country. We have to investigate power dynamics. Most importantly, we have to investigate ourselves-how do we view these ideas, behaviors and address our families, communities and the Church. We used liturgy from the Book of Common Prayer, Hymns, prayers from our bishops, and biblical texts as tools to visit these topics and to address the gaping wounds left as a result of them. Two of the texts were 2 Samuel 21:1-14 and 2 Kings 6:24-33-texts that lifted up the most ugliest sides of humanity, and yet the narratives were paralleled to our current events. After the conference we were challenged-commissioned to envision a better community, a better world. A world where faith leaders are well-informed about gun violence, racism and poverty in order to administer trauma-informed spiritual/pastoral care to our families, to our congregations, to our communities. Just before attending I finished Kelly Brown Douglas’ book, Stand Your Ground, so that coupled with her presentation is reinforcing how I look at space where people gather — what kind of space is this, I ask? Is it white space only? This helps me look at a space and see what other dynamics are occurring. As the conference went on, I could name how it was predominantly White space in the way it was organized and structured…not entirely, but in some key ways like dialogue ways – timing participants’ answers and the way questions were asked in one respect. Where we marched and how that all occurred. I participated in/witnessed conversations and dialogue that was racist and sexist during the conference. That is always a learning experience, as a person perceived as White. Since I live and work in an all-White context, I’m always exploring how to undo racism. Those racist/sexist conversations and reactions are helpful in that regard, as they are also troubling in how we respond and how the conference is structured. I’ve always believed that reducing gun violence is about something bigger than guns and Damon from the Black Lives Matter workshop gave me something to think about. He said not to even talk to him about legislative efforts as long as the US is arming local police departments and selling armaments around the world to other countries…. What do I wish had happened that did not? A list of definitions or even definitions that could be presented by the speakers. Because there was no definition around the word, “racism” for instance, there wasn’t a good way to address racism when it occurred in the conference and likewise with other words. Also, some preferred ways of dialogue. For instance, when a bishop took issue with two statements of Kelly Brown Douglas, he didn’t in my opinion show respect for her thinking. He just disagreed and felt entitled to his opinion rather than just saying he was having a hard time understanding her meaning or needed to hear more from her about his discomfort with what she said. Then, after disagreeing with her, he failed to address his question to her,instead asking the other two people on the panel to respond. The moderator did not pick up on this, which I experienced as racist and sexist. However, Kelly Brown Douglas did respond anyway. At the conversation I had at lunch there was criticism about how things were presented by People of Color and no willingness in fact being adamant to ask the people on the panel to explain more or recommend some reading or videos to help with understanding the presentation. The presenter’s words were deemed wrong and rude…. Others at the table (all White) tried to bridge the discussion, but eventually, we all just moved on to something else where there was more agreement. So, I guess more awareness about dynamics between the dominant/oppressor group and people who experience oppression is needed, because an all together mixed group creates some dynamics that reinforce that the space is White and will be enforced as such. I was always taught to work in an anti-racist way led by People of Color working on their own internalized oppression…. I would use that statement to guide the planning for future conferences. How can the space be for all people? Who is excluded by the parameters of the conference – location, cost, design? Model a racism free planning process and conference design and event.